This cute triangular clutch size tote is made entirely from post-consumer plastic grocery bags with their red and black logos forming the cheerful pattern. 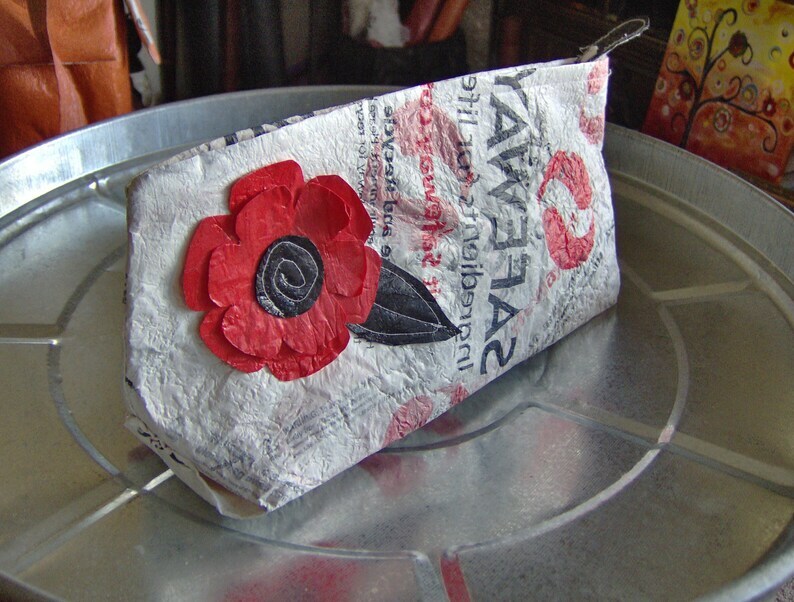 It has a 12" zipper and is decorated with a large red and black flower also made from fused plastic. At approx. 12" long, 4" wide (on the bottom) and 5 1/2" deep, it can be used as a roomy clutch or to tote and store cosmetics, art supplies or any other bits or baubles that need bagging.